Since iOS6 was released the iPhone and iPad maps have switched over from using Google maps to Apple’s own maps. 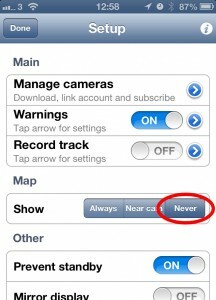 This affects both the normal ‘Maps’ app and any apps, like CamerAlert, that use what is known as ‘MapKit’. There is a bug in the iOS6 version of MapKit whereby the map tiles continually fill up spare memory on the device and it doesn’t get freed up. On the newer handsets like the iPhone 5 and iPhone 4S this does not seem to be a problem as they have a lot more RAM in them. The iPhone 4 however doesn’t have as much RAM and you will find that after a short period of displaying the maps in the app it will appear to crash. 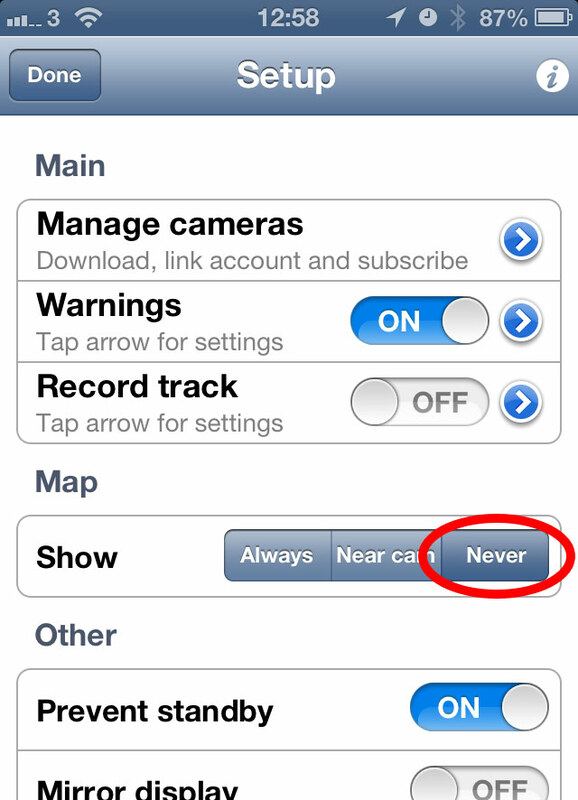 Technically it isn’t crashing – if you sync with iTunes you will not see any crashlogs for CamerAlert. What you do see, however, are Low Memory logs. The Apple Developer Forums have countless developers complaining about the same issue as we are seeing – that their map-using apps are causing massive memory issues and being shut down by the phone’s operating system. We were hoping it would be fixed in iOS 6.1… Then we were hoping it would be fixed in iOS 6.1.1… Then we were hoping it would be fixed in iOS 6.1.2… You get the picture, right? Latest version even better than before. I use this in conjunction with TomTom app on my iPhone 4. I turn off the TomTom camera alerts and rely on this better source of information. New version allows you to launch a SatNav app in parallel to CamerAlert which saves a finger press. As I’m lazy that’s a great feature for me. Database seems very accurate and is updated reliably even alerting you that you are out of date. Does what it says on the tin. Needs an annual subscription OR you need to get a lifetime membership for free by submitting a new or changed camera. Well worth the app price and the annual subscription!